Unless any change has been to the immigration policies of the US, the population of the country would get double in this century. It is predicted that by the year 2020, if the present trend of population continues to increase like this, the US would add much more population for creating another biggest cities in the US. if no action would be taken to stabilize the population of the US. The growth of the population is influenced by three factors like mortality, birth rates and net immigration. 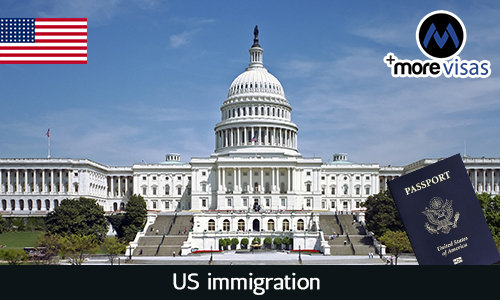 US Immigration is the biggest factor for contributing to the increase in population in the country. US immigration has contributed more than 2.25 million individuals to the population of the US yearly that includes lawful immigrants and illegitimate immigrants and births to immigrant women yearly. The entire overseas born population and number of people residing illegally in the US are on the rise. The issue of US population is a major concern for many environmentalists. if steps were taken earlier for stabilizing the immigrant population in the US. The population of the US would have stabilized at 225 million in the year 2020. Another reason is the constant changes in the policies of US immigration by the government have increased the immigrant population in the country much more. The present levels of immigration are driving the population of this country to get double this century. If we take a look at the past, in the late 70’s and 80’s large number of immigrants and their descendents have added large number of people to the population of the US in fewer than thirty years. It was unfortunate that the influx of the individuals in the US had not brought much decrease in the population of the nations of origin. During that period the population of those developing nations were also continuously on the rise. Looking at the future, minimum of 70% of the estimated population growth of the US this century will be caused by mass immigration that is by current immigrants and their descendents.